Welcome to the webpage for the 2014 Annual Study Trip, which took students and staff in the Department of Sociology to Lisbon, in Portugal! If you were part of the trip, we hope you enjoyed the experience! We departed on the morning of Sunday, March 9th (from campus and Leamington) and arrived on the evening of Friday, March 14th. The trip had a duration of 6 days, and 5 nights. We stayed at this hostel , in the centre of Lisbon. The trip was generously subsidised by the Department and cost £250 per student. The fee included coach to/from the airport, return flight, accommodation with breakfast in shared rooms, insurance, at least 2 meals, and an excursion. There were 30 places available on the trip. All students in the Department (undergraduate, MA and PhD) were very welcome! For more information on the programme of activities for the trip, see below. The study trip involved sociological walking tours of the city, museum visits, university lectures and seminars, social events with students, and other cultural activities. Study-trippers were also be given plenty of free time to explore the city. It was a trip that offered the perfect combination of some of our favourite things: thinking about Sociology, meeting other people who love thinking about Sociology, broadening cultural horizons, relaxing, sightseeing and enjoying delicious food and drink… as well as some lovely sunshine! If you want to find out more about what students did in previous study trips, click here . Lisbon, the cosmopolitan and fascinating capital of Portugal, triumphed at the prestigious World Travel Awards which are considered to be the ‘Oscars’ of tourism. This latest win marks the third time Lisbon has been recognised as Europe’s Leading City Break Destination in the Awards over the last five years. The Portuguese capital is famed for its year-round pleasant climate, rich culture and beaches located just 20 minutes from the city centre. 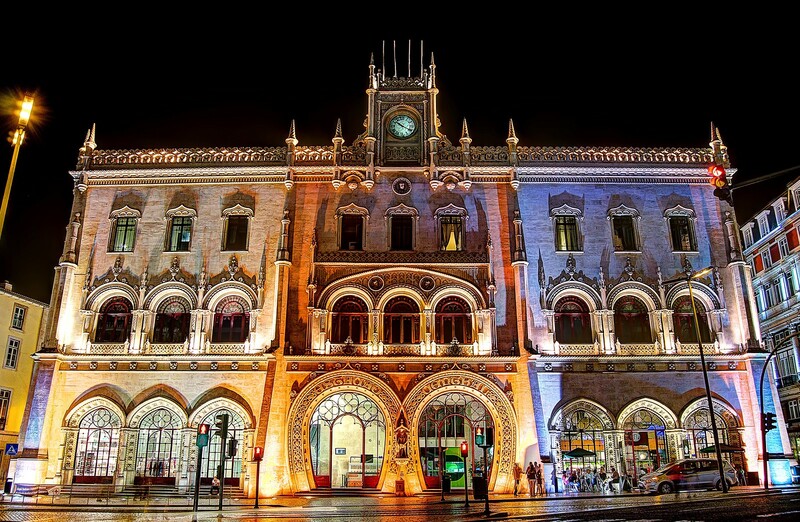 2) We stayed in an award-winning design hostel located inside this building – a beautiful neo-manueline train station. 3) One of the trip organisers - Dr. Maria do Mar Pereira - is from Lisbon and has contacts at several universities there. Students were taken to the most exciting lectures with leading scholars and take part in fantastic sociological experiences. 4) The trip was heavily and generously subsidised by the Department, students had the opportunity to go to Lisbon for almost a week at an unbeatable price. 5) And most importantly, the trip really was an extraordinary experience to develop students' sociological imagination, exchange sociological knowledge with others, discover a new culture in a very different way, engage with lecturers more informally, and make lasting connections and new friendships with other students in the Department.